A black and white portrait of Seth Hubbell. 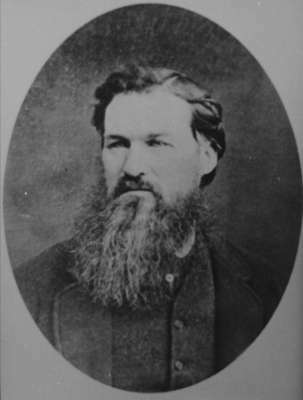 Seth Hubbell (1825-1888) was born at Whitby Township, Upper Canada, near Myrtle on March 2, 1825. He died at Kewadin, Michigan, USA on July 13, 1888 and is buried at Maple Grove Cemetery, Elk Rapids, Michigan.